I love decorating with a Coastal Christmas theme – in fact, we have a whole beachy Christmas tree every year! So, when I signed up for a handmade ornament exchange, I knew that I wanted to make something coastal to represent Charleston. These sand ball ornaments were actually inspired by art that I saw on our trip to Bermuda. Specifically, there were picture frames covered in sand for sale at a market. I made a note in my phone to try out the technique for a Christmas ornament! 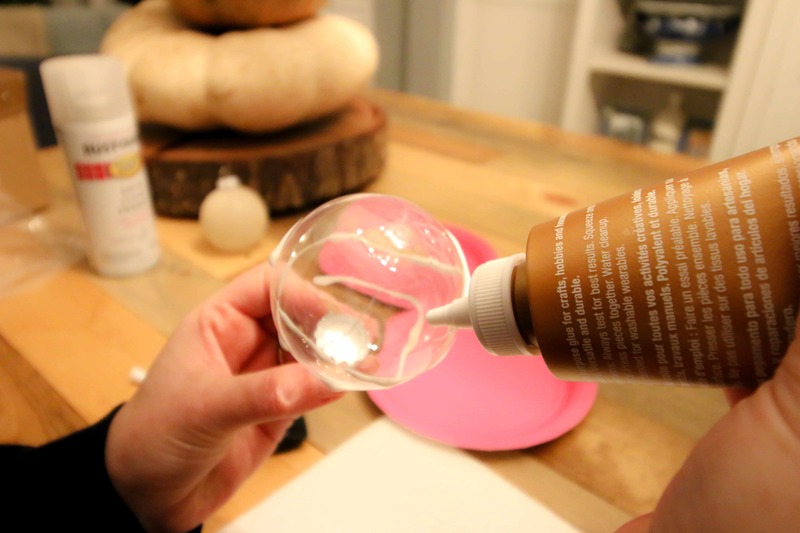 You could do this project with the sand inside the ornament as well, but we already did that! I wanted to try a different technique for an all-over sand look. This ornament is a great way to remember a trip to the beach. How cool would it be to make one a year from your summer vacation sand? 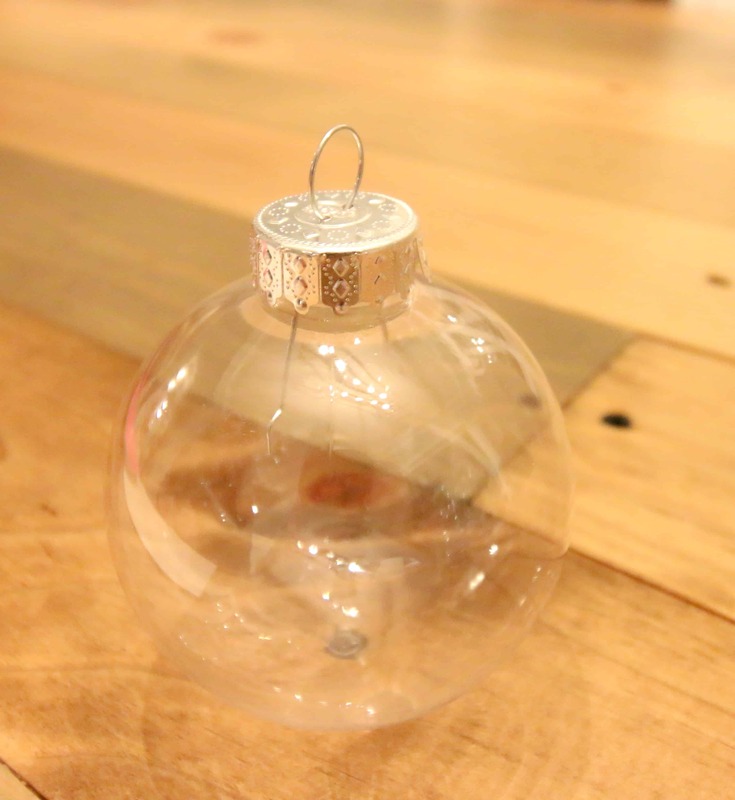 Want more DIY Coastal Christmas ornaments? 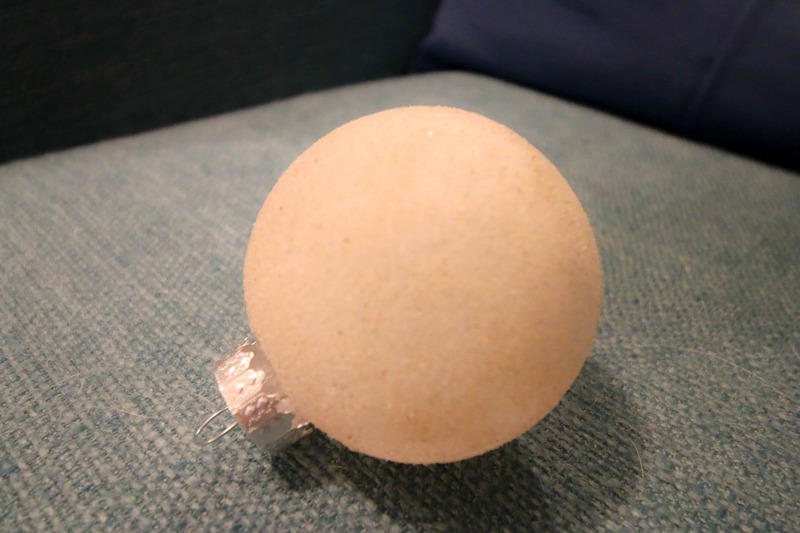 Here’s our DIY Sea Glass Ball Ornament and DIY Sand Beach Ball Ornament! To prepare – you need you sand in a cup or glass and a paper plate. 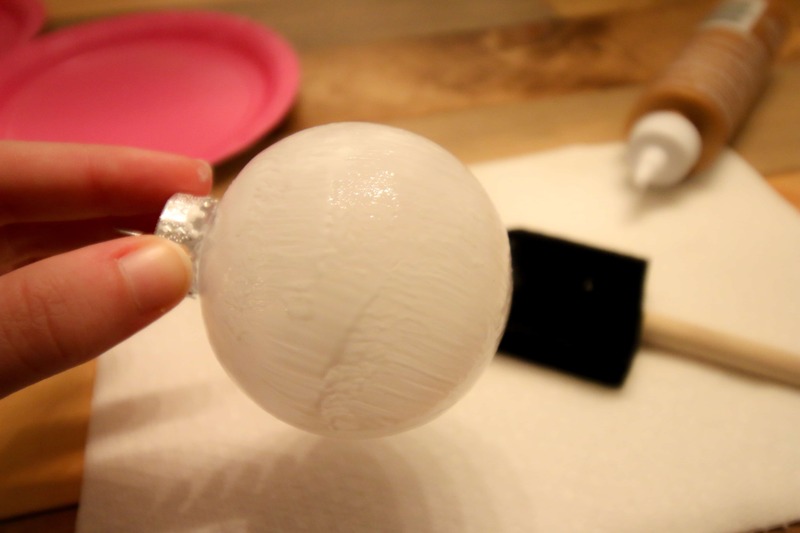 Apply tacky glue to the outside of the ornament and use a brush to paint it on to completely cover the ball. 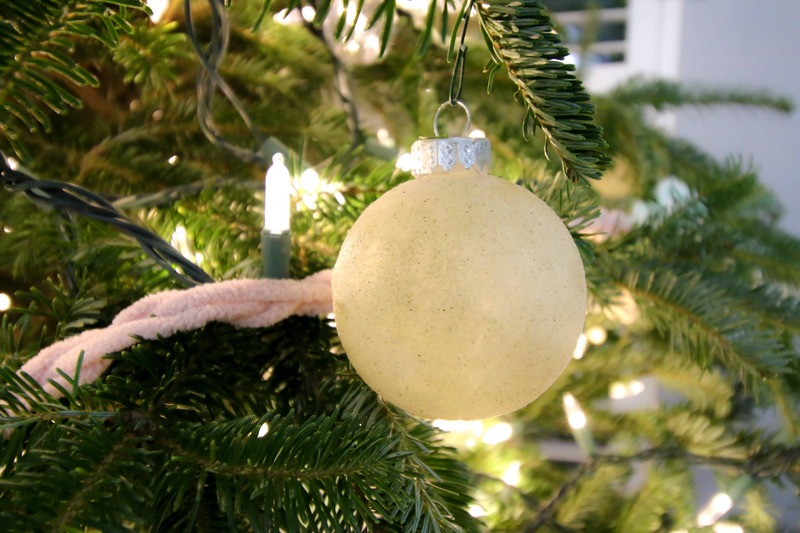 Hold the glue-covered ornament over a paper plate. Slowly rotate the ornament as you pour sand over the surface. Continue until you cover the entire ornament. Tap off any excess sand into the paper plate. 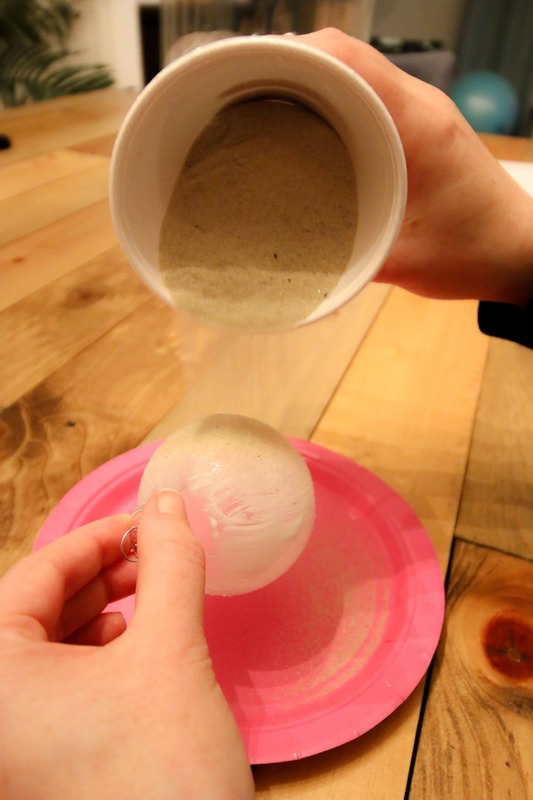 Fold the paper plate slightly in half to easily pour the excess sand back into your cup. Allow the glue to dry for at least one hour. Tap off any excess sand. 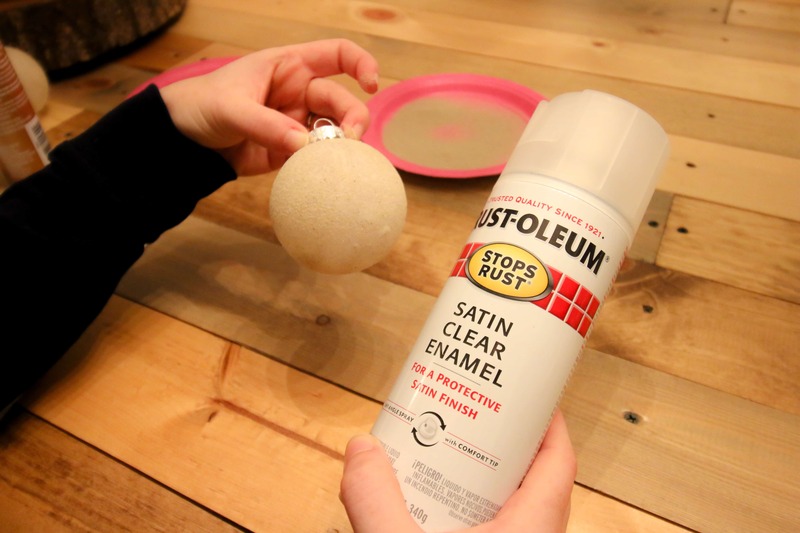 Spray the ornament with a clear sealant. Allow to dry. Add a ribbon for hanging if desired. Enjoy your beach memory ornament! 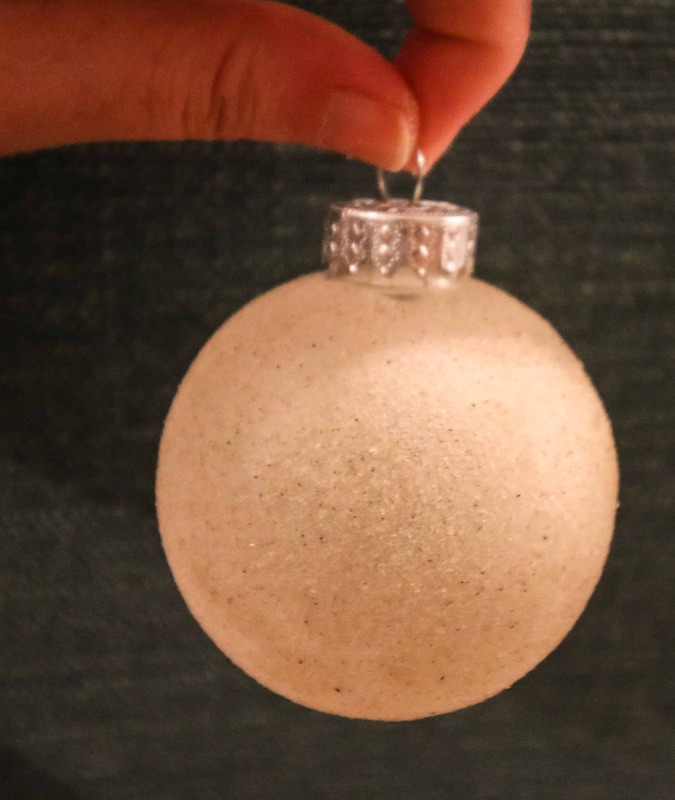 Are you making ornaments yet? « Ornament Exchange Link Up! What a unique way to create a coastal ornament. I’m also in Charleston and I’m thinking I need a quick trip out to Folly to scoop up a little sand to make one for our coastal tree. This is a wonderful idea for us in beach communities or who love a beach vacation. Great idea!